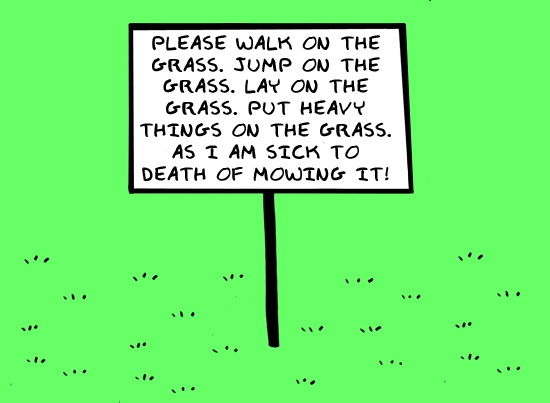 YESTERDAY I MOWED our weeds. 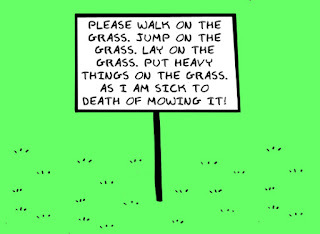 Well, grass. You gotta love spring in the Q-Town - my Michigan friends are still shoveling snow and my sister in Denver is dealing with an April blizzard. Meanwhile in paradise, I've mowed three times and we spent yesterday afternoon at Bill and Kathleen Bursic's Patio 910 Chili Cookoff, with about 60 of their closest friends. I had to find the shade after a while. I got the backyard done, but then the mower died. It's fairly new and I wasn't sure what I'd done. It had oil. It had gas. Nothing seemed out of order. So I did what I do best. I told Sheryl, and sat back and calmly waited. Sure enough, it took just a few minutes. "The spark plug cap was disconnected from the engine," she said. "Do lawn mowers have spark plugs?" I said. So there you have it. Sheryl fixed it again. I finished mowing the lawn, and discarded the thoughts of wrecking a new mower.